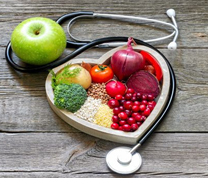 As experts in acupuncture Boca Raton, Perfect Union of Body & Mind specializes in many healing and nutritional services for residents in and around Boca Raton, Florida. At Perfect Union of Body & Mind, our goal is to help our patients achieve mental, physical and emotional wellness through our treatment, which includes Boca Raton acupuncture, massage therapy Boca Raton, cosmetic acupuncture in Boca Raton and other treatments and nutritional services. The most popular services at Perfect Union of Body & Mind is our Boca Raton acupuncture treatment. With many years of experience in treating patients with acupuncture therapy, our skilled and highly qualified practitioners work to focus on the underlying cause of whatever has been ailing you. Using the traditional Chinese medicine, acupuncture, we are able to get to the cause and treat a wide range of conditions, both physical and also emotionally and mentally. Besides just treating ailments with our acupuncture Boca Raton services, we also offer cosmetic acupuncture services to cities in and around Boca. Cosmetic acupuncture from our Boca Raton acupuncture clinic can help benefit you by promotion blood circulation, helps exfoliate, re-hydrates the superficial skin layers, increases the production of collagen and helps the skin heal. Also, with cosmetic acupuncture, your skin will retain a youthful appearance without having to get involved with harmful chemicals and other forms of cosmetic treatment. The Acupuncture Boca Raton clinic is a leading facility for acupuncture treatment, Chinese herbal medicine, and massage therapy. Each client is taken care of by each condition being properly discussed so that the best acupuncture treatment and Chinese Medicine practice can be provided. The goal of the Boca Raton Acupuncture Treatment Facility is to assist each client in achieving their desired physical, mental, and emotional state. Known for offering the best holistic options with optimal results, The Boca Raton Acupuncture facility holds a professional staff with a comprehensive knowledge of acupuncture. The therapeutic acupuncture treatment is actually known for being one of the most effective natural ways for healing. 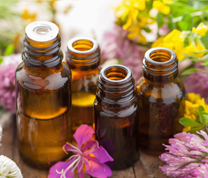 Even though Traditional Chinese Medicine has been around for an approximate 2,000 years, the holistic treatment option is still relevant today. In fact, the benefits of acupuncture therapy are immense. With side effects significantly low (if any), acupuncture is a go-to treatment for many, even those with serious disorders who are looking to try out holistic alternatives. Fast relief from physical pain is close to anyone’s desire, and in some cases, acupuncture can provide that instantaneous relief. 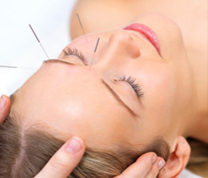 There are different types of treatment for acupuncture therapies at the Acupuncture Boca Raton Clinic. In fact, acupuncture isn’t intended to be a one-time treatment but rather a series with several sessions. A heat therapy known as moxibustion involves the moxa stick, which stems from the herb, mugwort. This process helps to circulate the blood and energy, which ends up boosting the body’s ability to heal. Another therapy that falls under the category of acupuncture treatment is called cupping. With the ability to aid in the treatment of a variety of issues, including muscle tension, cupping could be thought of as a reversed massage. Materials for cupping formerly included bamboo, glass, and animal horns. Present day, glass cups and sometimes plastic suction cups are used during the process. These cups are left on the flesh for an approximation of 5 to 8 minutes. Cupping can sometimes result in leaving circular marks on the skin (known as petechiae) that mimic that of a bruise. However, unlike bruises, these marks from cupping do not hurt. Petechiae should become less after more treatments. As for electrico acupuncture, needles are placed on the flesh and electrical movement travels throughout sections of the body. Also known as electrical stimulation acupuncture, it is evident that pain can lessen during this acupuncture treatment. In addition to a reduction in pain, the therapy can speed up the healing process and inflammation can go down tremendously. GuaSha, which translates to “scrape away heat,” is yet another acupuncture treatment. This process begins by the acupuncturist putting pressure on specific areas and stroking with a scraping tool. Whether the issue being treated is muscle aches, fevers, indigestion, or something of the like, this type of acupuncture is extremely helpful. A popular procedure gaining the spotlight in recent years includes cosmetic acupuncture, which our Boca Raton Acupuncture Facility offers for those seeking a brighter and younger look. More specifically, this type of treatment stems from Mei Zen Cosmetic Acupuncture. This treatment is a type of acupuncture for the face, although the entire body is targeted with needles. Cosmetic Acupuncture helps to provide results like smoother skin, reduction in lines and wrinkles, and an overall appearance of tighter skin. 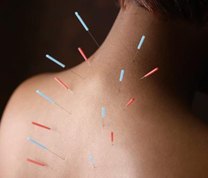 Also helpful for as far as cosmetic acupuncture is concerned, acupoint injection therapy is a treatment where homeopathic substances are injected into targeted places on the body. Common administrations can vary from solutions with Vitamin B12 to weight loss formulas. Acupuncture point injection, another name for the treatment, can be groundbreaking for sufferers of chronic aches and pains. Any type of acupuncture treatment can offer benefits to the individual receiving the treatment. Not only will Boca Raton Acupuncture help relieve your stress, but desirable benefits can also include quicker healing for the body and a noticeable reduction in pain. At the Boca Raton Acupuncture and Chinese Medicine center, there is a selection of effective treatment options for those seeking healing. 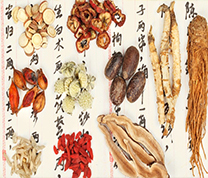 Chinese Herbal Medicine holds over 250 unique solutions. Certain factors that a Chinese Medicine practitioner will take into consideration when working with a client can include tongue and pulse diagnosis, and more. The holistic Chinese Herbal Medicine offers value to clients. Specifically, clients may feel a reduction in discomfort and pain, as well as their body beginning to balance itself back out. When natural treatments can be provided with outstanding results, it’s a wonder why more people don’t take a more holistic approach to rectify their conditions with trusted acupuncture therapy and Traditional Chinese Medicine. The Chinese Medicine and Acupuncture Boca Raton facility is a renowned practice that offers these types of effective holistic treatments and the rewards are endless. Conditions from depression and anxiety to insomnia and neurological issues can finally be tackled and resolved in the most natural way. If you haven’t spoken to a professional at the Boca Raton Acupuncture Facility, then now is the time to move forward so that you can begin your healing of the mind and body. Another popular service at our Boca Raton acupuncture clinic is massage therapy! By offering massage therapy Boca Raton we are able to treat patients in and around Boca Raton with massage therapy. Massage therapy is one of the oldest forms of healing and can be dated back to over 1000 years ago. 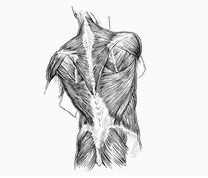 Our Boca Raton massage therapy service is a manual stimulation of the muscle tissue, allowing your body to heal. Besides healing, our Boca Raton massage therapy helps detoxify the body and patients are able to see positive results even after just a handful of treatment sessions. Our Boca Raton massage therpay includes abdominal massages, raindrop technique massages, lymphatic massages, breast massages and more. For those looking for “acupuncture near me,” the Boca Raton acupuncture specialists at Perfect Union of Body and Mind are not far! Located conveniently in Boca Raton, those residing throughout the South Florida area can easily find an acupuncture near me by stopping by Perfect Union. Many of our patients come from all the areas of South Florida and those searching for Acupuncture Boca Raton, Acupuncture Boynton Beach, Palm Beach Acupuncture, Wellington Acupuncture, Acupuncture Deerfield Beach, Acupuncture Coral Springs, West Boca Raton Acupuncture, Acupuncture Delray Beach, Acupuncture West Palm Beach, Acupuncture Jupiter, Acupuncture Fort Lauderdale or Acupuncture Pompano Beach. Even if you do not live in one of the previous mentioned cities, if you are located in Palm Beach County or Broward County, finding an acupuncture near me is not difficult when you have Perfect Union of Body and Mind! Dr. Yan Ping Xu is a highly respected and internationally recognized Doctor of Chinese Medicine. This is one of the main reasons why she partnered with Healthy Directions, one of the leading health publishers and direct-to-consumer retailers of doctor-formulated nutritional supplements. 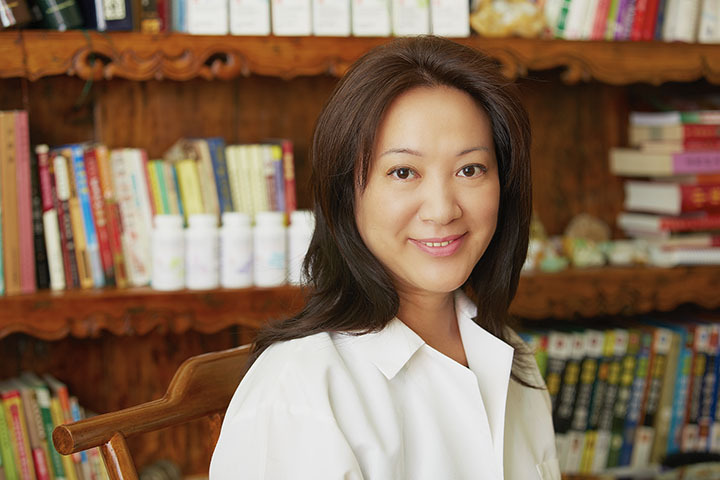 At our state of art Boca Raton Acupuncture clinic, Dr. Xu has developed her own line of modern botanicals based on traditional Chinese formulas to address the modern day needs. The Botanyst products are known to activate the body’s own healing mechanisms ensuring that you live a happy and healthy life. Perfect Union of Body & Mind, Inc. has one purpose: to ensure our patients achieve physical, emotional, and mental well-being. Our team is dedicated to helping each patient achieve their highest state of well-being through Boca Raton acupuncture, massage therapy in Boca Raton, herbal medicine and more. Our services offer the body, mind, and spirit a path to rebalancing, reconnection, and restoration. We work with most insurance carriers.